LOCATION.--Lat 40°11'55", long 74°04'12" referenced to North American Datum of 1983, Neptune Township, Monmouth County, NJ, Hydrologic Unit 02030104, on left bank 100 ft upstream from bridge on Remsen Mill Road, 0.3 mi downstream from Robins Swamp Brook, and 1.7 mi west of Neptune City. PERIOD OF RECORD.--Continuous-record discharge station, October 1966 to current year. REVISED RECORDS.--WDR NJ-05-01: 1967-1973(M), 1975(M), 1978-1980(M), and 1983(M). GAGE.--Water-stage recorder with telemetry, crest-stage gage, and concrete control. Datum of gage is 7.05 ft above NGVD of 1929. REMARKS.--Records fair, except for estimated discharges, which are poor. Diversion above station by New Jersey-American Water Company for municipal supply and by farmers for irrigation. 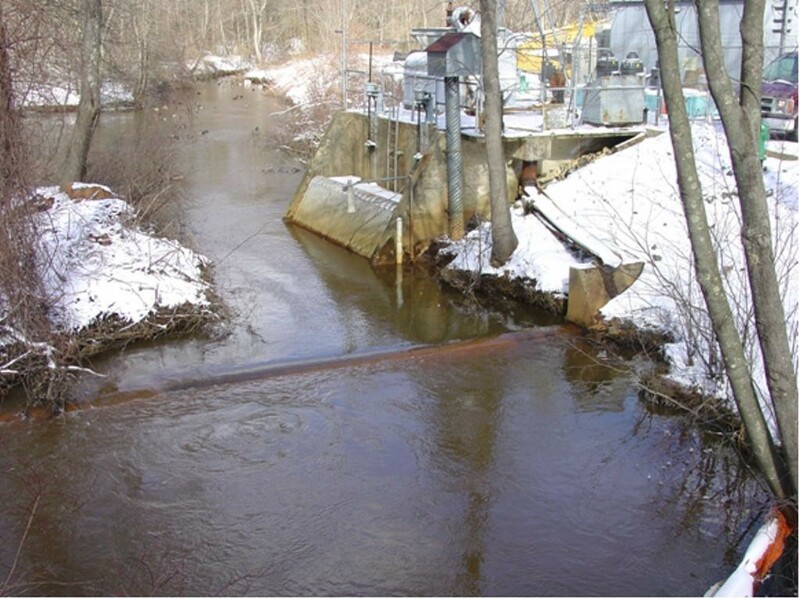 Entire flow from 0.34 mi2 of drainage area, subsequent to November 1962, controlled by Glendola Reservoir (capacity 1,000 million gal) on Robins Swamp Brook, 0.6 mi southwest of gage. Water pumped into Glendola Reservoir from Manasquan River or Reservoir subsequent to July 1990. EXTREMES FOR PERIOD OF RECORD.--Maximum discharge, 2,340 ft3/s, Dec 26, 1969, gage height, 7.94 ft; minimum discharge, 0.00 ft3/s, many days, first occurred on Aug 20, 1978. PERIOD OF RECORD.--Water years 1965-66, 1968-91, 2007.